Marijuana stores are open in Mass. Now what? Crowds have flocked to the state’s first two recreational marijuana retailers. It likely will be months before any such shops open up in Boston. 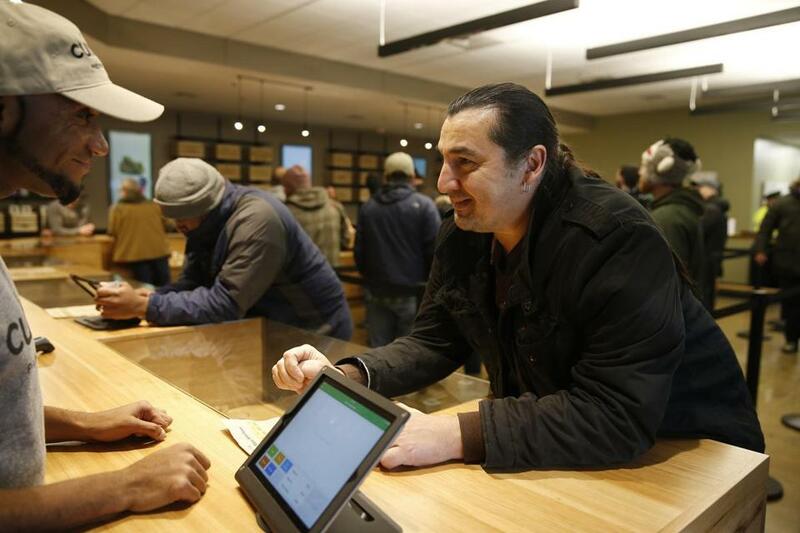 After a two-year wait that tested the patience of marijuana consumers and business owners, recreational pot shops are finally open for business in Massachusetts. 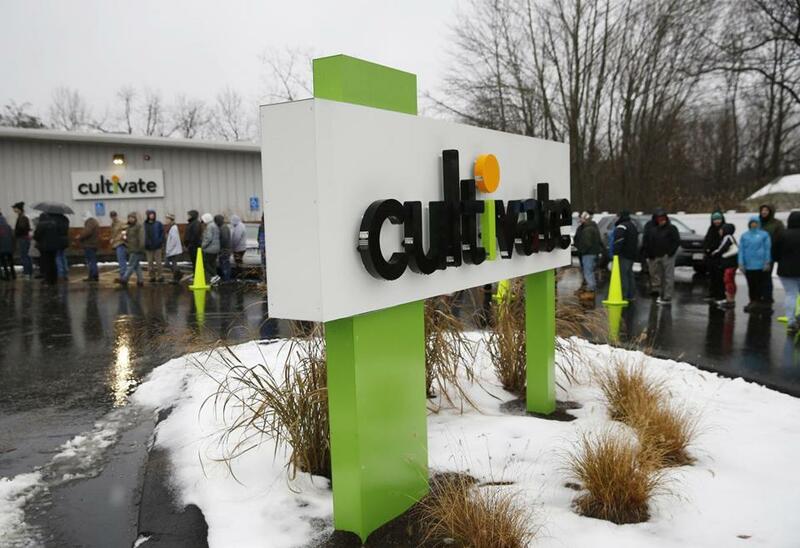 So far, just two cannabis retailers have opened their doors: Cultivate in Leicester and New England Treatment Access, or NETA, in Northampton, each located far from the state’s most populated areas around Boston. In Boston, it will probably be months before the first shop opens. Within the next month or so, the state is only likely to see — at most — another three shops open: Pharmacannis Massachusetts in Wareham, Alternative Therapies Group in Salem, and INSA in Easthampton. Customers continued Saturday to endure long waits at the state’s only two stores authorized to sell legal cannabis. Each of those companies won a final license from the state Cannabis Control Commission earlier this month but cannot open before clearing an exhaustive final inspection by the commission. Another 23 or so retailers around the state hold provisional licenses and will soon move to the next step in the process. MAP: Could a recreational marijuana shop open near you soon? 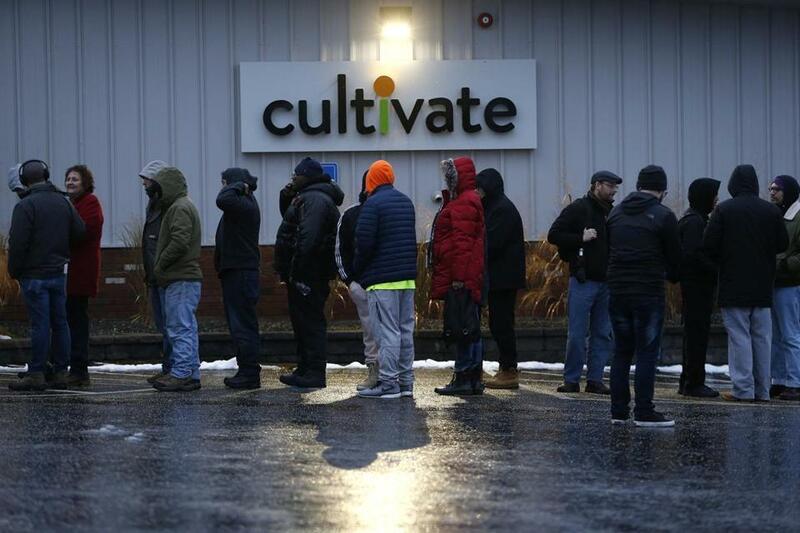 All told, 100 companies have applied for 192 recreational licenses — would-be cultivators, retailers, and processors trying to open in communities from Western Massachusetts to Cape Cod. Steve Hoffman, the commission’s chairman, declined to put a firm date on the opening of the next wave of stores but said he’s hopeful more will open before the end of this year. 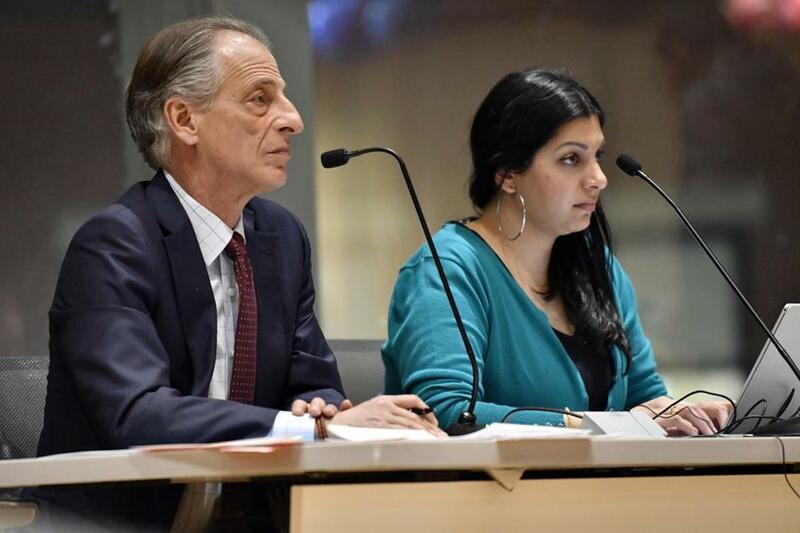 Cannabis Control Commission Chairman Steven Hoffman (left) and commissioner Shaleen Title during a public meeting. Hoffman and other commission officials have consistently defended the pace of the agency’s rollout of recreational sales, saying that they are committed to thoroughly applying the law’s long list of requirements and that they won’t rush noncompliant companies through the process. They touted the successful launch of the state’s “seed-to-sale” inventory tracking system on Tuesday, which allows real-time monitoring of cannabis plants and products derived from them. 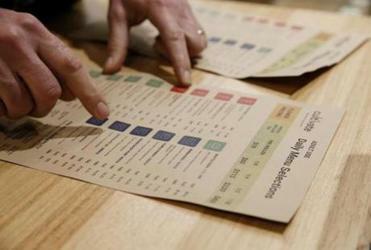 Customers shouldn’t expect the agency to suddenly approve scores of shops, insiders said, citing the commission’s consistent stance that it would rather move deliberately than rush and risk missing something. In any case, Romano added, the slow pace of the recreational rollout and the siting of stores in far-flung corners of the state are largely attributable to municipal resistance, not commission foot-dragging. However, he said, that could soon change, with dozens of local moratoriums on pot companies set to expire on Jan. 1 — and as city and town officials watch their neighbors raking in revenue from taxes and fees on such firms. Laurent Dubois, 49, of Littleton chatted with a budtender at the opening of Cultivate in Leicester. Municipalities have also drawn fire for demanding generous — perhaps unlawfully large — payments from cannabis companies in exchange for local permits. Critics say that practice has driven up pot prices, slowed down the debut of marijuana stores, and made the early industry accessible only to larger, well-capitalized firms. However, the commission earlier this year declined to review those contracts to see whether they comply with caps on their value, saying the law doesn’t clearly give it the authority to do so. Some in the industry are considering pushing for legislation that would force the commission to review host community agreements and reject those calling for overly large payments. 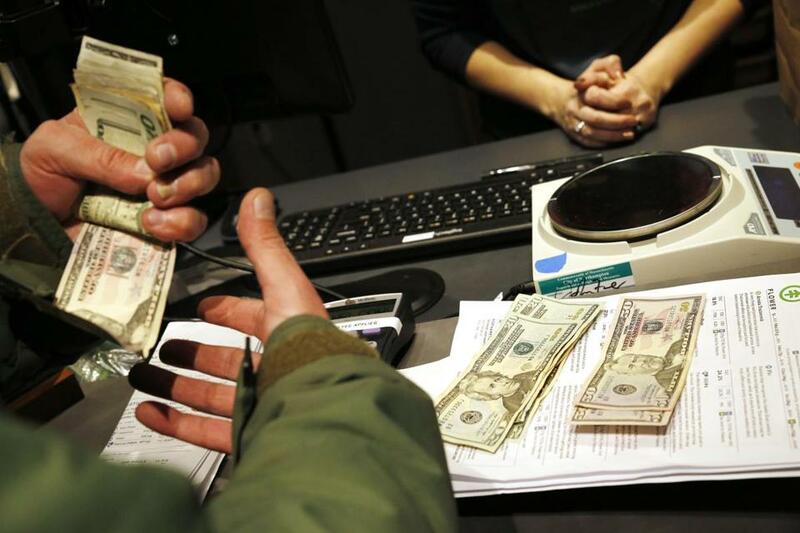 A man paid for his order of recreational marijuana products from NETA in Northampton. In addition to lowering prices and speeding up the opening of future pot stores, a loosening of municipal restrictions could increase the number of marijuana firms owned by local residents — and members of disadvantaged groups affected disproportionately by the war on drugs, who under the law are supposed to get a boost in the state licensing process. Somerville, for example, recently instituted an ordinance that will see the city approve such local and so-called “economic empowerment” applicants on an alternating basis with more established medical dispensaries. For consumers in Boston, where voters overwhelmingly backed legalization at the ballot box in 2016, the imminent opening of ATG in Salem will provide a somewhat more convenient option for buying cannabis; it’s 30 to 40 minutes away from the city, while Cultivate in Leicester is a little more than an hour away. The Cultivate building in Leicester. But when will stores actually open in Boston itself? Not anytime soon. The administration of Mayor Martin J. Walsh, a strident opponent of legalization in 2016, only signed its first host community agreement with a marijuana business in October, for a cultivation and processing facility in the Newmarket industrial neighborhood called Green Line. It recently signed a second contract with a marijuana retailer called Ascend, run by former Suffolk County sheriff Andrea Cabral, to be located on Friend Street near TD Garden. A number of other companies are still negotiating with — or waiting on — the city. Both Green Line and Ascend can now proceed to the state application process, which will probably take several months. But since neither company is operating under a medical marijuana license and must build their facilities from scratch, their actual opening dates are probably even further out.